iPhone 6s and 6s Plus are on their way with preorders kicking off over the weekend, so now is the time to buy a case for your new device in order to have it in time for an official launch set for later this month on September 25. As is tradition, we’ve put together a roundup of the best choices for to protect your new iPhone with our selections of the best iPhone 6s and 6s Plus cases available to order now. 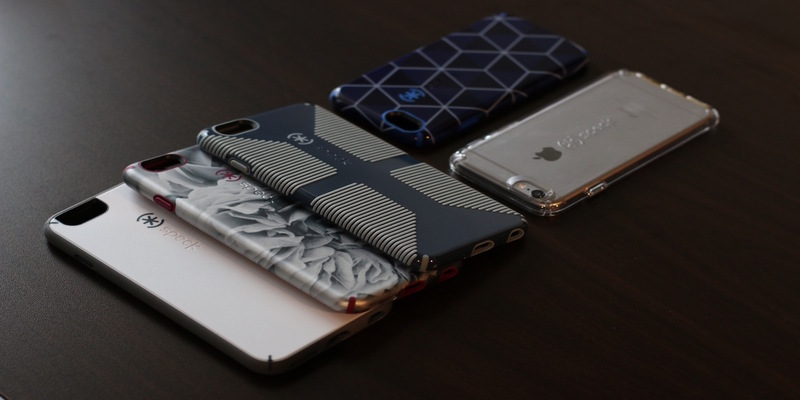 Popular case maker Speck has its CandyShell and MightyShell lineups available for both the iPhone 6s and 6s Plus. Shop Speck CandyShell and MightyShell cases. Griffin has its various Survivor, Trainer armbands, and Wallet cases available for both devices. 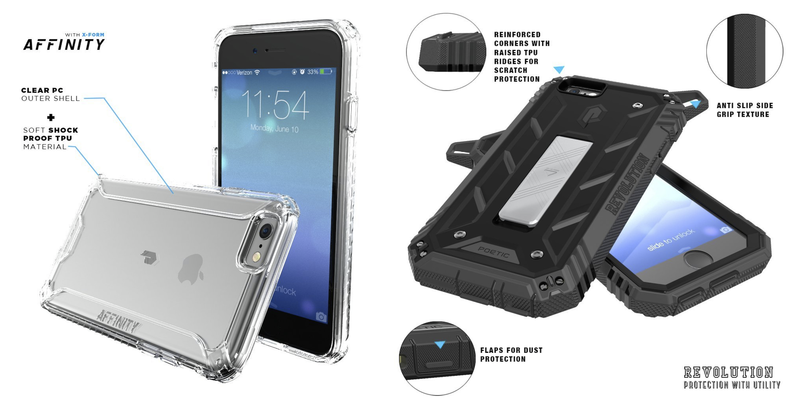 Poetic is offering its usual high-quality cases at affordable price points with its slim, $15 Affinity case (left) and its $20 rugged Revolution case (right). Otterbox has cases from almost all its collections for the new iPhone 6s and the iPhone 6S Plus. Shop Otterbox iPhone 6s and the iPhone 6S Plus. Pad & Quill has its high-quality, hand-crafted leather and wood wallet cases available for both iPhone 6s and 6s Plus. We’ve reviewed their products (here, here, and here), and absolutely love them. Shop Pad & Quill cases for iPhone 6s and 6s Plus. The new Magnetic Shell case from Nodus is available to order alongside its popular Access case (I mentioned how much I like the Access case here). Both cases are discounted for a limited time to celebrate the new iPhone launch. Shop Nodus iPhone 6s & 6s Plus cases. Spigen has the Ultra Hybrid Crystal Clear ($10.99), Thin Fit ($10), Style Armor ($14), Slim Armor ($16) in various colors available to order now. Shop Spigen iPhone 6s & iPhone 6s Plus cases. The Trianium Clear case ($9.99), and Trianium’s 3100mAh battery case ($35.99) are both ready to go for the new iPhones. Shop Trianium iPhone 6s & 6s Plus cases. Pure View ($12), Armor Tough ($18), and Vault Slim ($15) are all excellent, affordable options from Silk Innovation for the new iPhones. Shop Silk Innovation Pure View ($12), Armor Tough ($18), and Vault Slim ($15). Over 14 million designs from independent artists printed on your choice of a slim Snap case ($29) or a more protective Tough option with reinforcements for durability ($35), or a skin ($14). – Get 20% off with code “DOGDAYS” while it lasts. Preimum leather sleeves with wool lining handmade in Amsterdam. Joli Originals makes one of the nicest leather sleeve-style cases around and all options are now available for both the 6s and 6s Plus. Shop Joli Originals iPhone cases. Shop Caseology iPhone 6s & iPhone 6s Plus cases. These will continue to work even with the iPhone 6s’s new 3D touch display. Get front coverage of Ultra Thin PET Acrylic for $4.99, Spigen’s edge-to-edge coverage with a color-matched bezel sand tempered glass for $7.99, or back and front coverage for $15. Shop all iPhone 6s & iPhone 6s Plus screen protectors.